April is here already. March has been a crazy month for us starting from the wagering contest till the jaw dropping bets made by some high roller. March has been one of the most competitive months for us. The wagering contest winners of March has already been announced and all our user who were in the top leaderboard were rewarded as promised. With the end of March wagering contest, the April wagering contest has already begun and we can see users already playing hard to secure the top position on the wagering contest leaderboard. March was such an exciting month for us. This month we have once again seen old winners defending their title on the leader board. But the bitcoin wagering leader board showed up a sudden change just few days before the wagering contest came to an end. A brief summary of the wagering contest winner has been given below. Bitcoin: Codie251 who has wagered an awesome amount of 671.07 BTC has ended up being on the top of the bitcoin wagering contest leader board of March. The user has received the maximum reward of 1 BTC. Codie251 popped into the leaderboard all of a sudden before the wagering contest was about to come to an end. This has put Sceobba658 at the second position of the bitcoin wagering contest leader board. The user wagered a total of 333.44 BTC and has received the maximum reward of 0.6 BTC. User Wulfwig831 has ended up being third by wagering a total of 258.93 BTC. This user also managed to bag in the maximum reward of 0.3 BTC based on his position and wagered amount. Kevin888 has been placed fourth for wagering a total amount of 100.07 BTC. The user received a total of 0.14 BTC as a reward. This time, our all time top user user Pepepu35 has been seen on the fifth position of the leader board. The user has wagered a total of 70.07 and has received a total of 0.084 BTC. Rest of the position has been taken by treebeard, Jok354, brewdog2018, KDubb and Cynric727 each receiving a total reward of 0.07 BTC, 0.052 BTC, 0.0285 BTC, 0.0238 BTC and 0.02 BTC based on their position and wagered amount. A total of 2.3207188 BTC has been dealt as a reward to the winners! Along with bitcoins, 828 lotto tickets have been spread out to the winners based on their rankings. Bitcoincash: User m4ansen has been placed on the first position for wagering a total amount o 334.539 BCH and has received a total reward of 0.669 BCH based on his position and wagered amount. The second position has been taken by Codie251 who has wagered a total amount of 311.93 BCH and has received a total of 0.561 BCH. Third position has been taken by juan who has wagered a total amount of 234.77 BCH and received a total amount of 0.352 BCH. Fourth position has been taken by Gordy894 who has wagered a total amount of 106.472 BCH and received a reward of 0.148 BCH. The last place of bitcoin cash wagering contest has been filled by Cuelino478 who has wagered a total amount of 79.09 BCH and has received a total reward of 0.094 BCH. A total of 1.8267116 BCH has been distributed among the winners. Dash: User Skyelar has won a total reward of 0.349 DASH by being on the first position of dash wagering contest leader board and by wagering a total of 174.83 DASH. The second position has been taken by Itibor who has wagered a total amount of 109.5 DASH and has received a total reward of 0.197 DASH. The third position has been taken by rimakk who has wagered a total amount of 61.944 DASH and has received 0.092 DASH as a reward. Juan can be seen on the fourth position by wagering 44.91 DASH and has received a total of 0.062 DASH. Lutpin ended up filling the last winning position on the wagering contest for dash coin by wagering a total amount of 31.699 DASH. The user has received a total of 0.038 DASH which was given based on his wagered amount and position. A total of 0.7405735 DASH has been given away as a reward to the users on the leader board. Dogecoin: User juan has ended up conquering the top position of doge coin wagering contest leader board by wagering 18,213,076 DOGE and has received a total reward of 36,426 DOGE. User esmert ended up being on the second position by wagering a total amount of 17,346,764 DOGE. This user received a total of 31,226 DOGE as a reward for his position and wagered amount. The third place has been taken by Oger469 who has wagered a total amount of 14,237,445 DOGE and winning a total amount of 21,356 DOGE. The fourth position has been taken by Clevon839 who has wagered a total amount of 13,492,371 DOGE and has been rewarded with 18,889 DOGE. Sidyen has wagered a total amount of 10,221,033 which has placed him on the fifth position. The user received a total reward of 12,265 DOGE. Rest of the two position has been filled by Ingui550 and ESHManny each receiving 10,640 DOGE and 7,509 DOGE as a reward. A total of 119,956.6794909 Doge has been distributed among the winners along with 335 doge lotto tickets. EthereumClassic: Once again we can see user juan on the top of the eth classic wagering contest leader board. The user wagered a total amount of 30,202 ETC and received 60.4 ETC as a reward. The second position has been taken by NiMa who has wagered a total amount of 6,930 ETC and received a reward of 12.47 ETC. The third place has been occupied Skyelar who has wagered a total of 1,523 ETC and has bagged in 2.285 ETC has a reward. The rest of the two position has been captured by Keaton361 and tronhungHD each wagering a total of 1,096 ETC and 999 ETC and receiving a total reward of 1.53 ETC and 1.199 ETC as a reward. A total of 77.8997281 ETC has been distributed among the winners. NeoGas: User Exxon has been placed first of the NeoGas wagering contest of March. The user wagered a total of 2,389 GAS to reach this position. For his achievement, the user has been rewarded a total of 4.77 GAS. Second position has been taken by PorRoo who has wagered 2,231 GAS to reach this position. The user received a total of 4.016 GAS based on his wagered amount and position. The third position has been taken by LoliPhabay who has wagered a total amount of 1,474 GAS and received a total amount of 2.21 GAS. Rest of the two winning position has been filled by Lutpin and ESHManny each receiving a total reward of 1.67 GAS and 1.35 GAS based on their respective position and wagered amount. A total of 14.0400824 GAS has been distributed among the winners. Litecoin: User Roberto311 has been placed first on the wagering contest leader board of march for wagering a total amount of 1,707 LTC. The user was able to bag in a total of 3.41 LTC as a reward. The second position has been taken by Jok354 who has wagered a total amount of 1,658 LTC and received a total amount of 2.98 LTC based on his wagered amount and position. The third position has been filled by nis44 who has wagered a total amount of 834 LTC and has received a total reward of 1.25 LTC. The fourth position has been taken by Speers747 who has wagered a total amount of 659 LTC and received a total amount of 0.923 LTC as a reward. The rest of the three position has been filled by Skyelar, zavodnik1994 and fatgooseNNA each receiving a total reward of 0.67 LTC, 0.511 LTC and 0.412 LTC respectively based on his position and wagered amount. A total of 10.1740759 LTC has been given out to the winners. Along with those litecoins, 790 LTC lotto tickets has also been distributed to the top seven users. Peercoin: User Clauidio513 has been placed first in the peercoin wagering contest leader board of March. The user wagered a total of 31,868 PPC and received a total reward of 63.73 PPC as a reward. The second place has been taken by Skyelar who has wagered a total of 31,562 PPC and received a total reward of 56.811 PPC based on his achievements. The third position has been occupied by Miamaus1986 who has wagered a total amount of 26,987 PPC and received a total reward of 40.48 PPC based on his position and wagered amount. The rest of the two winning position has been taken by Juan and DatBcH who has wagered a total amount of 21,581 PPC and 13,972 PPC winning a total amount t of 30.21 PPC and 16.7 PPC as a reward. A total of 208.0117734 PPC has been distributed to the winners of PPC wagering contest. Stratis: Use ESHManny has occupied the first place of March Stratis wagering contest leader board by wagering a total amount of 9,207 STRAT. The user has received a total reward of 18.41 STRAT as a reward. Second place has been taken by grav who has wagered 8,182 STRAT to reach this position. The user has been rewarded with a total of 14.72 STRAT. The third place has been taken by Speers747 who has wagered a total of 4,465 STRAT and received a total reward of 6.698 START. The rest of the two positions has been taken by Grover506 and spcm where each user wagered a total of 4,072 STRAT and 3,150 STRAT winning 5.7 STRAT and 3.78 STRAT respectively based on their positions. Altogether, user has won a total of 48.3241556 strat. Monero: The Monero March wagering contest top place winner was Itibor who has wagered a total of 226.9 XMR. The user received a total of 0.453 XMR. The second place has been taken by Pandarian who has wagered only 39.471 XMR and received a total reward of 0.071 XMR. Third place has been taken by Eega who has wagered a total of 35.0119 XMR and received 0.0525 XMR as a reward. The rest of the two winning position has been taken by kc1500 and rerobert each wagering a total of 30.932 XMR and 29.366 XMR winning 0.043 XMR and 0.035 XMR respectively according to their positions. A total of 0.6560108 XMR has been distributed among the winners. All rewards have been dealt to the players within few hours. Along with the rewards, the top five users for each coin have received the [VIP] tag. They now have access to all the VIP exclusive features. The tag will last until the end of the next wagering contest. 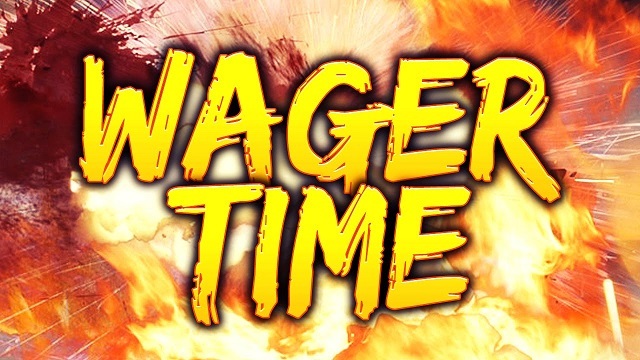 April’s wagering contest has already been started with less than 27 days left for users to fight for the top position and claim in those sweet rewards. If you weren’t able to participate on last month’s contest, now is the perfect opportunity to do so. It is going to be almost a month since we have seen a new jackpot being hit. Current Bitcoin Jackpot balance is 3.37891563 BTC. Current Ethereum Jackpot balance is 107.64906724 ETH. Current Litecoin Jackpot balance is 120.983576 LTC. Current Dogecoin Jackpot balance is 2882631.27518867 DOGE. March was an unpredictable month and so was the contest. The April wagering contest has already started. If you did not manage to win anything from the March wagering contest, don’t lose your hope. Join this month’s contest and try to compete for the top positions. Don’t forget, we also have a no bet delay promotion every Monday which can help you reach the top position more easily. Remember, there are coins that are not much active in the wagering contest which you can join and easily reach the top position. Be at least on top five to get the VIP tag and access all its feature for one whole month. Your feedbacks are always welcome since they are extremely valuable to us. It helps us to develop our casino. Thanks for staying with us.